The cloud services have made a lot of impossible things possible. From storing documents to large files, images and much more; the possibility of storing telephone system is also now available. A Hosted PBX or Hosted Private Branch Exchange is a phone system service, which makes this possible. There is a group of local lines (for use by employees) as well as external lines which is quite unlike traditional PBX. Hosting a phone system refers to making it cloud based which helps in delivering the system as service over Internet connection. Thus this allows storing the data on a secure server and hosting the office telecommunication on cloud. Cost effective: It is much economical and convenient to replace the traditional landlines with hosted PBX than installing a trunk of lines as in the case of traditional PBX. Easy installation: In the case of Hosted PBX there is no particular requirement for doing an external wire routing since everything is cloud based which shows how easy it is to implement such a phone system. Scalability: It is easy to expand a Hosted PBX system. Whether you need to add a single line or multiple lines at once, since it is not labor-intensive but is cloud based, it becomes very quick and efficient. Time saving: The setup of traditional phone systems takes a huge amount of time. Since businesses require high maintenance throughout, installing a cloud-based phone system is the best option to skip the time requirements. Advanced features: Starting from message management to voice mail, call forwarding, and many other options, Hosted PBX allows everything that an advanced phone system should support. Why is it great for businesses on small scale? Cloud-based phone system tags along no additional hardware costs and provides an easy setup guide which is much required for small businesses. The essentials of a small scale business – being flexible, productive, and mobile are what Hosted PBX possesses. The advanced features of this phone service give a more professional look to your business and make your brand more enticing for the customers. As the name suggests, these systems are operated over the cloud. The servers maybe scattered geographically or can be located in a specific host location. If any of the server that has been active goes down then immediately another server occupies its place. This transition is quick and unnoticeable. There is no requirement for an IT staff to maintain your networking system. You simply need to call your service provider to manage any faults that might have occurred. 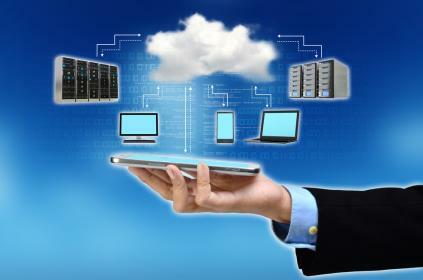 In such cases a cloud based phone system is extremely trustworthy as well as reliable. Where the traditional PBX takes a huge time to recover from a system failure, you can overcome this difficulty with implementing Hosted PBX. As you can see this advanced technology comes with a box full of exciting features and benefits and under no circumstances would you like to retreat to your old setup. You just need to forget about the maintenance of your phone system and focus mainly on the different needs of your business.